Published on April 8, 2010 in Complaints, corruption, Elections, General T&T, Parliament, PNM, Politics, UDeCOTT, Uff Report and UNC. 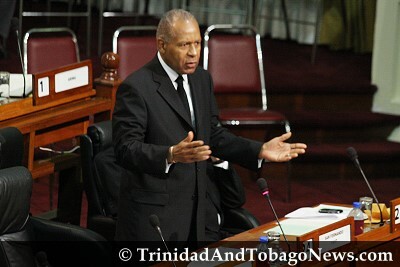 2 Comments Tags: Parliament, Patrick Manning, Politics, President George Maxwell Richards, T&T Govt. In accordance with Section 68 of the Constitution of the Republic of Trinidad and Tobago, the Honourable Patrick Manning, Prime Minister of Trinidad and Tobago today advised His Excellency, President George Maxwell Richards to dissolve the Parliament of the Republic of Trinidad and Tobago with effect from midnight, Thursday, April 8, 2010. His Excellency, President George Maxwell Richards has issued the relevant Proclamation. • the squandering of our nation’s resources. Thank you TMan. Only you could of put it so. Now what are your thoughts on Ms. Kamla?